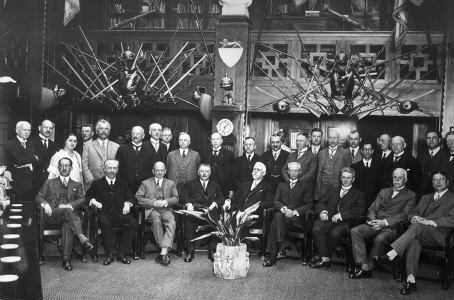 Our story began in 1914 when police and lawyers from 24 countries first got together to discuss identification techniques and catching fugitives. “12 wishes” for police cooperation expressed in 1914 are still highly relevant today. The first Red Notice is issued for a fugitive wanted for murder, as the Organization rebuilds after the Second World War. For more than 100 years, police across the globe have been cooperating to prevent and fight crime. While some of the basic crimes remain unchanged over the years (murder, robbery) other crimes have followed technological, economic and sociological developments in our world (such as cybercrime and people smuggling). Policing has also advanced in line with developments in technology. Until the 1980s, when our records were computerized, data was processed and analyzed manually. In 1935, we launched a dedicated radio network for sharing police information while today’s secure web-based system allows police to check our databases in real-time from the frontline. Yet the very first initiatives to discuss extradition procedures, identification techniques and record keeping are still at the heart of our role today. Locating fugitives remains a core activity, biometrics have replaced paper fingerprints and our databases contain millions of global records of criminal data. 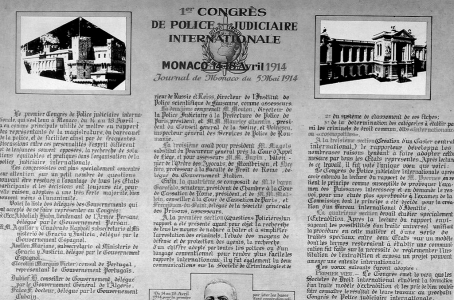 We began as the International Criminal Police Commission, created in 1923, and became the International Criminal Police Organization-INTERPOL in 1956. En 1914 la policía puso de manifiesto su deseo de cooperar en el futuro. Sus propuestas y prioridades siguen siendo válidas actualmente.